Yoga offers a wide range of health benefits and is a great way to enhance the lifestyle we live and to infuse this practice into every aspect of our lives. Balance poses are practiced in most yoga classes and offer us both physical and mental benefits. 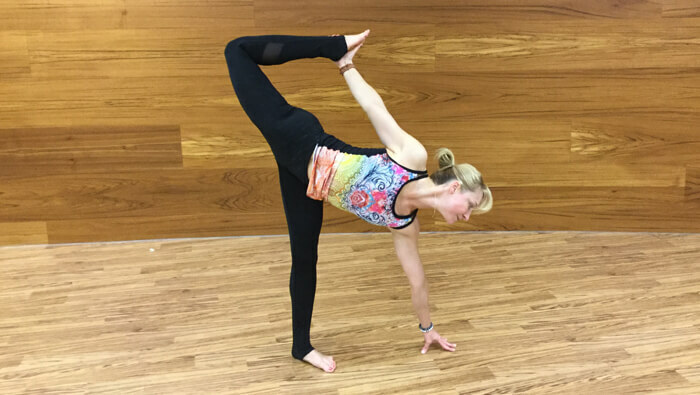 CLICK here and give this sequence of balance poses a try. 1. Start the pose from the base, broadening the surface of touch with the ground and rooting it down, may it be a hand, a foot, both hands or both feet, the forearms, or the head. 2. Keep your gaze gently fixed on one point not too far ahead. 3. Move into and in your balance poses slowly and consciously. Abrupt movements can shake us out of balance. 4. When needed, use your hands or a wall to gain stability. 5. Pay attention to the position and movement of the head because an important part of our equilibrium system is in the inner ear. 6. Keeping your breath calm and steady can help a lot to stabilize mind and body. 7. Don’t be afraid to fall dawn! Adopt the attitude of a child playing, and learn to laugh if you fall out of your pose.